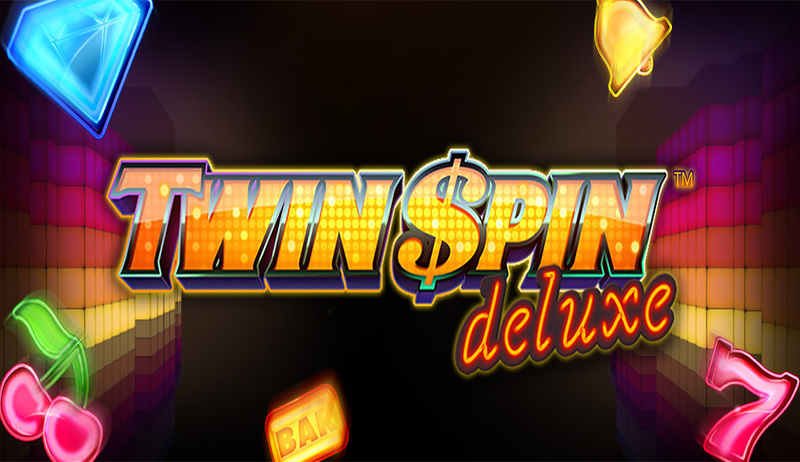 With Twin Spin being such a success for NetEnt, they decided to create a sequel named Twin Spin Deluxe. With its 80s party style and neon lighting, you’d be incorrect to assume that all follow ups are bad! Let us at Boku Slots give you the low down on the features available and where you can access this great slot game. Twin Spin Deluxe offers a 6-reel slot with a cluster pay feature instead of traditional pay lines. The RTP is a very healthy 96.6%, which when you consider the cluster pay option can be very profitable for the players. Especially when you consider you can land two different clusters of winning symbols at once. Bet Amounts – Betting begins at just 10p per spin and can be increased (or decreased) by adjusting the coin value and coin levels. 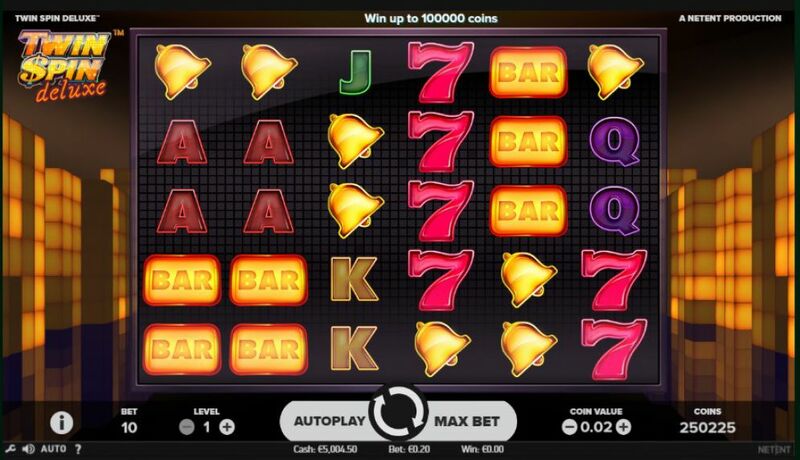 The maximum bet that can be played is at coin value 0.50p and coin level 10, making the bet £50 per spin. Cluster Pays – The way wins are allocated in Twin Spin Deluxe are easy to figure out. Instead of pay lines it is done by landing clusters of 9 or more matching symbols. Clusters can be completed horizontally or vertically, but the symbol must always be adjacent to the other matching symbols in order to be a part of the winning cluster. To win you need a minimum of 9 matching symbols, but they vary in size right up to the maximum of 30. There is a pay table on each game showing what the pay out for each cluster ranging from x9 to x30. Symbols – In Twin Spin Deluxe there are no wild or indeed no scatter symbols, because this game is very simple in design. Your symbols are (in order of highest to lowest); Diamond, 7, Bar, Bell, Cherries, A, K, Q and J. The highest symbol pays out a minimum of 50 coins for a cluster of 9, up to a maximum of 10,000 coins for a cluster of 30. Twin Reel Feature – Every spin begins with two adjacent reels linked together for that spin. During the spin these linked reels can expand to become 3, 4, 5 and even 6 linked reels. As the reels expand the matching symbols also expand creating bigger wins. Aside from the marked differences between its predecessor, we think Twin Spin Deluxe is highly under rated and underappreciated. The joy of cluster pays is that you see your wins and understand where they are coming from. The added twin reel feature is a great bonus and that combined with the fun and bright graphics makes for an all over top slot.